Australia has a lot to offer, Sydney’s iconic sights, the Outback, the Great Barrier Reef. These are all well known. Tasmania is less so, but Travelzoo’s Erin Oliveri shares several reasons why it should be on your list. First, Tasmania has an amazing capital city. “Hobart is home to fewer than 206,000 people (compared with 4.3 million residents in Sydney). However, it manages to host a botanical garden, open-air markets at Salamanca Place, Australia’s oldest operating brewery, abundant distilleries and wineries, and many places to grab a flat white and a meat pie,” says Oliveri. It also has one of the coolest museums. “MONA, the Museum of Old and New Art, is a short ferry ride away from the capital city. It’s built underground (literally) and is the only place I can think of where an ancient Egyptian sarcophagus can rest steps away from a room filled with TVs blasting men and women singing Madonna’s greatest hits,” Oliveri says. 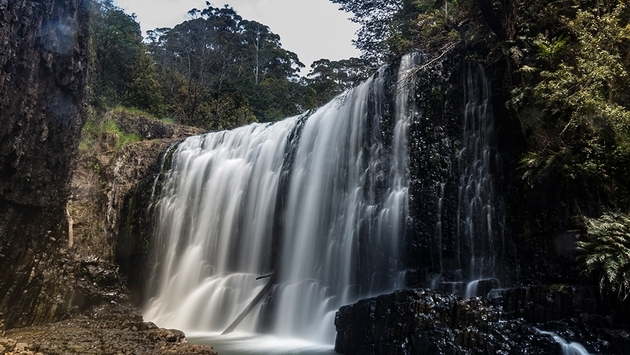 Tasmania also has a host of national parks and World Heritage sites. “Take a look at Tasmania on Google Maps—it is almost completely green. It’s an outdoorsman’s fantasy. Cradle Mountain-Lake St. Clair National Park is where most hikers end their Overland Track journey (a famous multiple-day, 40-mile trek) and is home to Pumphouse Point,” Oliveri suggests. For more reasons to visit Tasmania, read on here.